Malistaire was the original Ravenwood Death Teacher and the twin brother of the Ravenwood Myth Teacher, Cyrus Drake. But he went on his own journey and left Ravenwood when his beloved wife, Sylvia Drake, former Ravenwood Life Teacher fell ill and passed away. When Malistaire left to pursue reviving his wife, he had no idea of the danger and destruction was enduring. The destruction he caused was by him stealing the Krokonomicon to force the Dragon Titan to bring her back. He is first discovered in the Wizard101 tutorial. When we defeat him and he turns into a ghost, he joins with his beloved wife in heaven. Morganthe is the major nemesis in the second major story arc. She was originally from Zafaria where she developed an thirst for dark arts. When Merle Ambrose, her former teacher, would not teach it to her, Morganthe decided to split ways. She has been successful in collecting the mirror and horn, but she's currently trying to get her Celestial Choir ready. We first meet her appearance in the damaged world of Celestia. In Celestia is where we hear her iconic prophecy, "The mirror will break, the horn will call, from the shadows I strike, and the skies will fall." Today, she has been planning a battle that will allow her to tear apart the spiral and take it over. 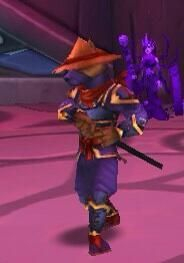 Lord Nightshade is the last storyline boss in Wizard City who you will meet in the Stormdrain Tower of Haunted Cave. He was the reason why Wizard City was overrun by the undead. He was under the influence of Malistaire Drake to try to destroy Wizard City and all it stood for. Krokopatra is a high leader of all Krokotopians in a sandy, dune civilized land of Krokotopia. She has a second and third in command which help us defeat her, Krokhotep and Krokenkahmen. She is a dark purple color which relates her to her magical school of storm just like in relation to the purple mander family in the Temple of Storms. We go on a journey to find her to stop her from giving the Krokonomicon to Malistaire. Krokopatra is based off real life historical Cleopatra who was the Queen of Egypt. Meowiarty is a mischievous cat that is a sneaky thief in a doggy gone world of Marleybone, based on a 19th century London. He was recently broken out of infamous high security Newgate Prison by our arch nemesis, Malistaire. He was broken out of prison to steal the destructive Krokonomicon. He is based off of Moriarty who was Sherlock Holmes' biggest nemesis. We see him once, chasing him and Malistaire on the tops of Newgate Prison before defeating him in Big Ben clock tower. 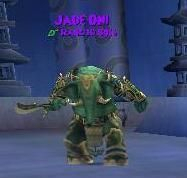 The Jade Oni is a huge elephant like creature, his clothes and sword complete with jewels and sense of royalty. He is the last boss and trouble we encounter in the Mooshu story, which is based off of Japanese culture. He has other brother Oni's that we defeat leading up to him, The Death, War, and Plauge Oni's. Once we have defeated him, we recieve a important key to the ruined lands of Dragonspyre. Once defeated, we can help local ally, Emperor Yoshito be healthy to rule once more. These Astral bosses are all found in the final dungeon in the wrecked ancient civilization of Celestia, based off of Atlantis, called, "Trials of the Spheres." They all represent the 3 astral schools, Star, Moon, and Sun. The three bosses are as follows, Astraeus, Ptolemos, and Mithraya, respectively in order of the schools. They all are minions to the evil Shadow Queen, Morganthe. These four guardians are peaceful spirits in a jungle and savannah like world by the name of Zafaria based on modern-day Africa. Morganthe grew up in this peaceful land but had ruined it into destruction. 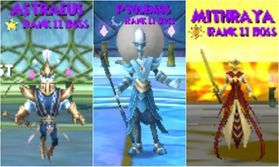 We meet these Spectral Guardians who are sprits of the animals that make up Zafaria, the Elephant, Lion, Zebra, and Gorilla when they are summoned by Morganthe to fight us in her plan to stop us. Pendragon is a cold, deadly, sinister end boss in the Keep of Ganelon in the Avalon storyline. The Pendragon is a dragon like creature causing terror through out Avalon. When we defeat him, he is transformed into Avalonian leader, King Artorious! Pendragon is based off of the Arthurian legend created by Geoffrey of Monmouth. In relation, King Arthur's last name was Pendragon! Malistaire was in heaven with his beloved wife, Sylvia Drake, when Morganthe the Umbra Queen, has resurrected him to be her Dark Servant, Malistaire the Undying. She brought him back to help her finish the Song of Creation. We get to fight him in the dungeon/meteor of Xibalba which will soon destroy the ancient world Azteca, based on the Aztec Empire. But it was impossible to defeat him and he disappeared into a hole which left us unfinished. We do not know if we will meet him again in the future. These are 4 (known) ravens that have plans of ruining the spiral. We first meet them one by one in Grizzleheim and have control over the whole raven tribe. The King, Hrafn Lorespeaker does tell us he has knowledge of them but very little. He informs that they are sneaky, evil and dangerous. We meet and defeat all of them in Ravenscarbut soon meet their knowledge of more destruction in the extension world calle Wintertusk. They plan to freeze all of Wintertusk and beyond the spiral if they succeed in waking up the Ice Titan from eternal slumber to causing a horrifying Everwinter. King Amadeo is of a Water-lurker species that usually should roam the streets of Celestia and/or outside the Royal Tower in an area called, Crab Alley. But alas, this water-lurker is nothing but an imposter of the ACTUAL king, King Heinrich Thermidor VIII. King Amadeo name is also the name of a Amadeo I of Spain who was also a king but they both were not liked by their subjects. Lord Bramble is a plant in Tanglewood Way stole the honored Spiral Cup from the Arena in Wysteria. He has only wishes of making Wysteria what it used to be before civilization. He also forced Chester Droors, Pigswick Academy teacher, to frame YOU for stealing the Spiral Cup. Ghost Dog is an hunter with a thirst for better challenges after hunting everything in the spiral. Morganthe gave him a new target that he couldn't resist: Us. We first encounter him in the final dungeon of Khrysalis Part 1. After fighting him the first time, he decides to fight again, but with all he has which ends up to be a brutal fight.